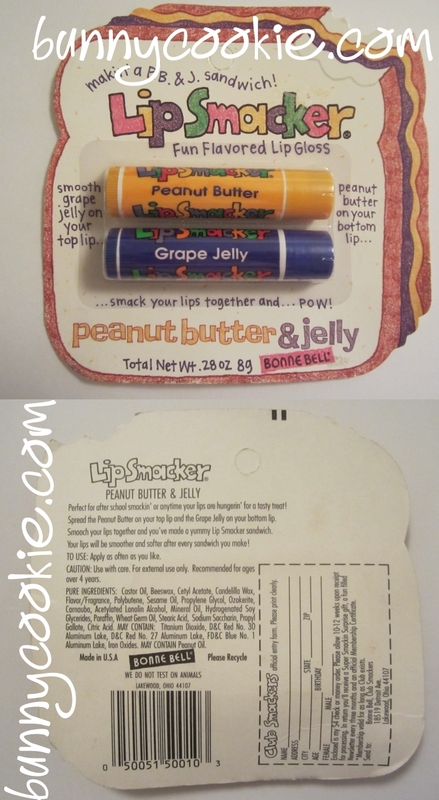 This Peanut Butter and Grape Jelly Lip Smacker set debuted sometime around 1995, making it pretty much a new vintage at this point in time. Apparently the Grape Jelly stuck around longer than the PB (and has reappeared under different names since), and I’m curious why… I think this particular pairing captures the BB spirit perfectly! 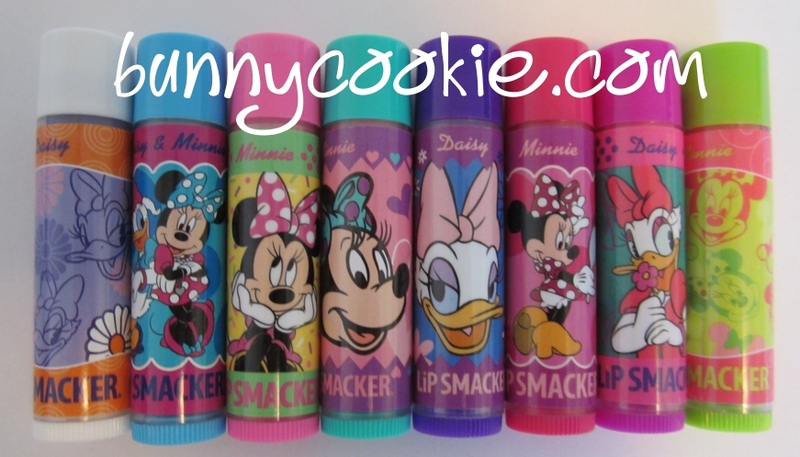 I’m so happy that I have this in the original packaging to photograph for the blog; 90’s smackers are definitely my favorite era. There’s something special about the block-lettered Lip Smacker font and childlike artwork. And check out the back, Club Smackers! Do you remember Lydia the mascot? I don’t think anyone realizes BB released a new Paul Frank smacker in Caramel Corn! I haven’t seen or heard about it anywhere, which is crazy because 1) it’s the cutest thing ever! 2) it smells exactly like caramel corn, and 3) Paul Frank! Yay! Hopefully it will roll out in Target soon like the rest of the PF collection, though maybe it already has? Let me know if you’ve spotted it anywhere. Keeping the theme, BB has given us the cute retro Minnie style in a pink egg-shaped trio called the Spring Favorites Lip Collection. Even though Easter is long gone, you can still pick this up at Bonne Bell’s own web store for a nicely discounted $2.25. 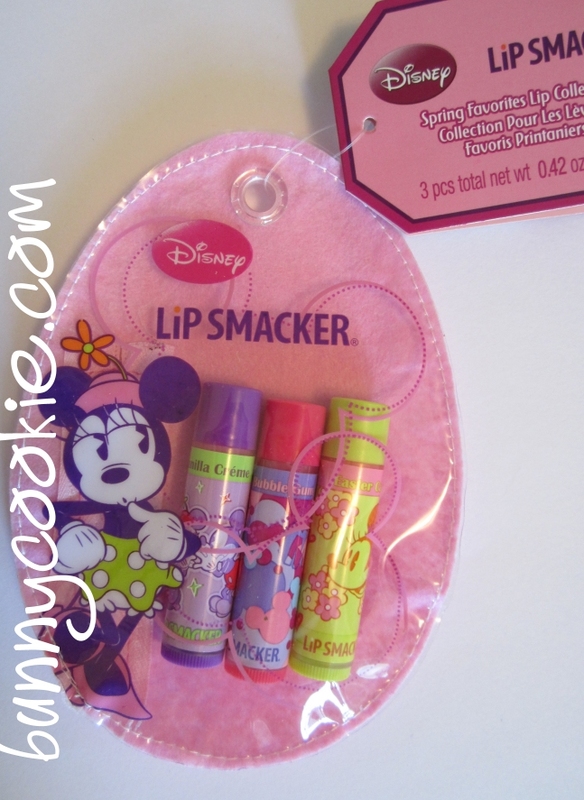 Around the time BB released the Disney Princess Lip Smackers, they snuck out an 8 piece party pack featuring Minnie Mouse and Daisy Duck (I’ve seen them at Target) 😀 BB went with a really nice style too! I really like Grape Shimmy Shake, Watermelon Whirl, and Very Bow Berry. I’ve also seen a Minnie biggy, key chain, and matching glitter glosses in Cupcake, Cutie Pie, and Peachy Cream (yum!!). What’s been your favorite from this set? Tinkerbell comes packaged by itself like the Winnie the Pooh smacker, and the flavor is yummy Vanilla Sparkle. It smells like several other vanilla variants BB has released over the past few years, but if you’re a vanilla fanatic it’s a must have, and needless to say if you collect everything BB releases like I do, you gotta get it. And I just love the neon pink! It’s limited edition and, like the others, available exclusively at Disney stores.